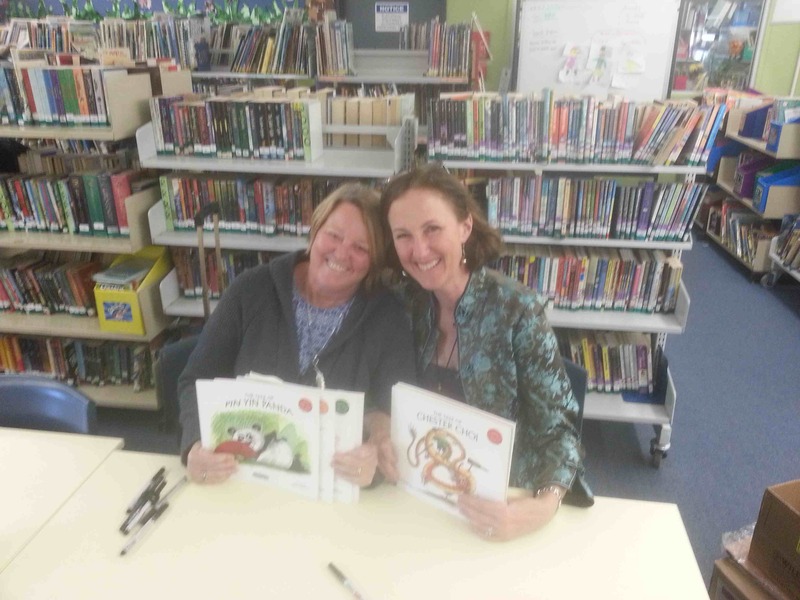 A Fun Friday at Chatswood Library and Killara Public School! Friday was full of fabulous fun when I visited Chatswood Library in the morning to meet some lovely Year 5 and Year 6 students and teachers from Our Lady of Dolours School. It was great to share the fabulous Chinese history behind the Silk Road, and my Tale of a Dark Horse! 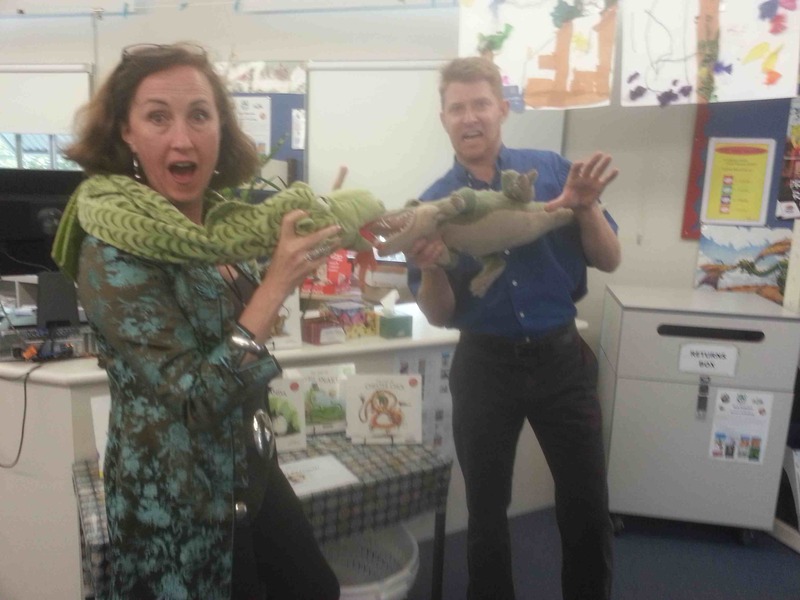 In the afternoon, I visited Killara Public School with my Tale of Pin Yin Panda and met just about everybody, including star librarian Mitchell Stone, and Rex the Crocodile, seen above left having a bit of a ….chat….with Chester Choi the Dragon! Thank you to Wendy Aouad (above left) who was my very kind minder for the day! 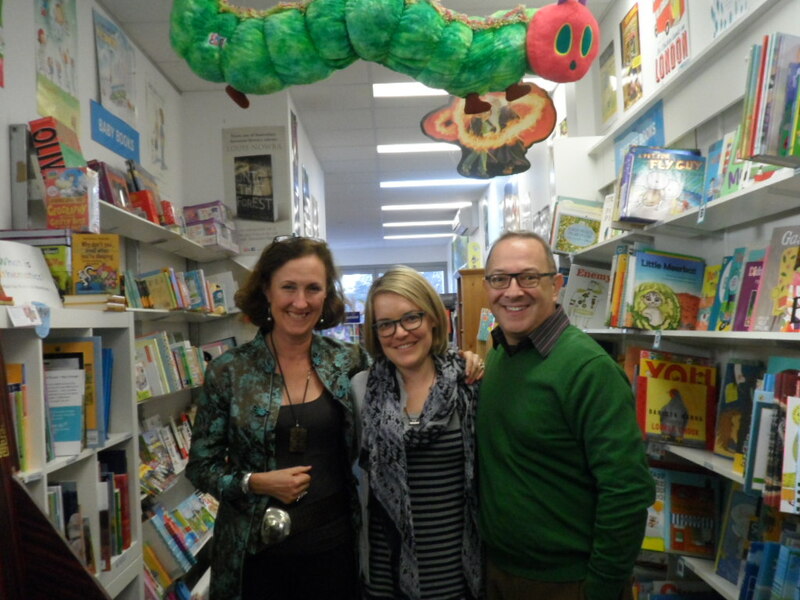 And an even bigger thank you to Scott Whitmont, owner of the famous Lindfield Bookshop and Children’s Manager Sarah Griffiths (above right) who arranged my visits – I had a lot of fun bringing some fascinating Chinese history and folklore to the kids of North Sydney! Hi Kayla, it was great to meet you all yesterday! Take a look at my new Clever Competition – it would be great if you entered!